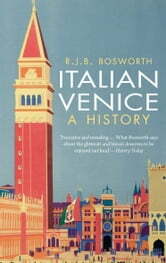 In this elegant book Richard Bosworth explores Venice—not the glorious Venice of the Venetian Republic, but from the fall of the Republic in 1797 and the Risorgimento up through the present day. Bosworth looks at the glamour and squalor of the belle époque and the dark underbelly of modernization, the two world wars, and the far-reaching oppressions of the fascist regime, through to the “Disneylandification” of Venice and the tourist boom, the worldwide attention of the biennale and film festival, and current threats of subsidence and flooding posed by global warming. He draws out major themes—the increasingly anachronistic but deeply embedded Catholic Church, the two faces of modernization, consumerism versus culture. 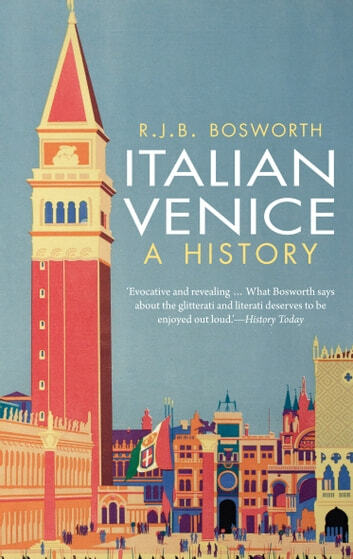 Bosworth interrogates not just Venice’s history but its meanings, and how the city’s past has been co-opted to suit present and sometimes ulterior aims. Venice, he shows, is a city where its histories as well as its waters ripple on the surface.